If you’re counting on technology to radically extend your lifespan, you’ll want to pay close attention to what’s happening with the Greenland shark. According to a new scientific paper, this mysterious deep-sea dweller can live up to 400 years, making it the longest-lived vertebrate on Earth. Let that number sink in for a minute.  Four hundred years ago, a ship called the Mayflower was about to set sail for the New World. The oldest Greenland sharks alive today might have been babies when the first Pilgrims crossed the Atlantic. Or, they could have been young adults. 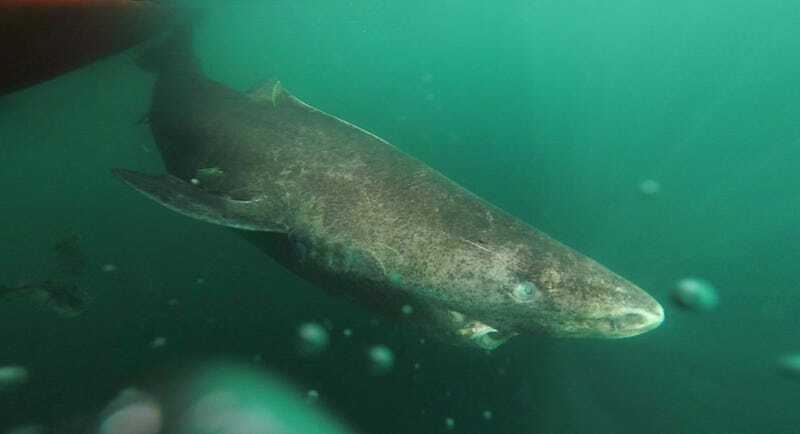 A dating analysis of 28 female Greenland sharks, published today in Science, determined that the oldest individual lived to be somewhere between 272 and 512 years of age. Most likely, she was a ripe 390 when a research vessel accidentally hauled her up. Even on the lower end of that scale, the Greenland shark’s impressive lifespan still blows any vertebrate contenders out of the water. The next longest-lived vertebrate, the bowhead whale, has barely crossed the two century mark. To Nielsen, one of the most intriguing aspects of Greenland shark biology was the animal’s incredibly slow growth rate—less than a centimeter per year on average. While that’s a strong indicator of longevity, Greenland sharks are impossible to age by traditional methods, because they lack hard, calcified tissues that deposit in growth layers. It was Nielsen’s advisor who devised a clever workaround: radiocarbon dating the shark’s eyelid. This unusual structure is composed of transparent cells filled with inert, crystallized proteins. “It’s basically a dead tissue,” Neilsen said, describing how layers of glassy cells accumulate on the lid throughout the shark’s life. Armed with a method, Nielsen and his collaborators acquired tissue samples from 28 individual sharks caught as bycatch during the Greenland Institute of Natural Resources’ annual fish surveys between 2010 and 2013. Peeling back layers of cells to access the oldest tissue, the researchers measured the abundance of carbon-14 isotopes to determine the animals’ ages. Right away, they noticed something unusual: most of the eyelid tissue samples lacked the telltale carbon-14 signature of nuclear weapons testing in the 1960s, indicating that the sharks were born more than fifty years ago. “We could see right from the beginning that we were dealing with something extreme,” Nielsen said. Only the three smallest animals appeared to be born during or after the so-called “bomb spike.” Further analysis revealed that most of the sharks grew up in the 19th or early 20th century. And while it was difficult to get a precise age for the largest two individuals, suffice to say they are old as dirt: 335 ± 75 years, and 392 ± 120 years . Those “blank spaces” include age to puberty, reproductive window length, and the survival rate of offspring. Since these life history attributes tend to scale predictably with lifespan, Olshansky suspects the Greenland shark has a very wide reproductive window and encounters little predation. Nielsen’s analysis, which determined that the animals do not reach sexual maturity until they’re about 150, seems to support that hypothesis. No doubt, these incredible animals deserve our protection in their own right. But there’s also a selfish reason for ensuring the survival of Greenland sharks: unlocking the secrets of extreme longevity. Gerontologist and anti-aging expert Aubrey de Gray cautioned that factors contributing to the Greenland shark’s longevity may not easily translate to humans owing to the different environmental pressures the sharks have evolved under.